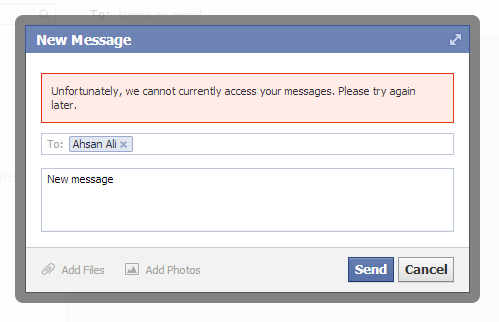 If you are using Facebook right now, you might be able to figure it out that Facebook Messages are Not Loading / Working. 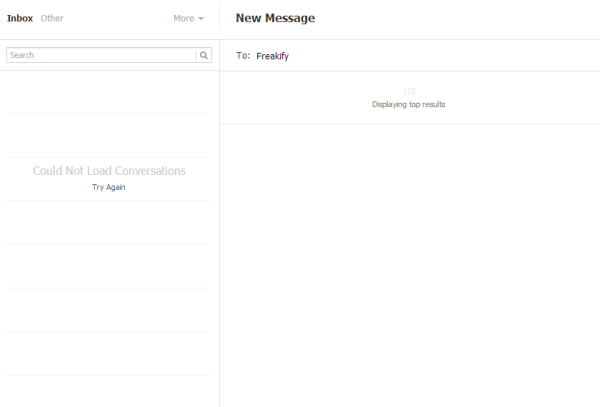 When you open up the facebook messages tab, it just keeps up loading and gets you nothing but a blank page. The Fb messages not working screenshot below can confirm the scenario, seems like FB is having hard time fixing this issue. Not even this but the Alt + M new message box is also not able to send any message. Are you facing the same issue? Are you able to send FB messages? What is this happening at FB? Is it having some relation to Valentine’s Day?